Close-up view of the extreme rear of the lower fuselage. This part appears to be bent to the right. 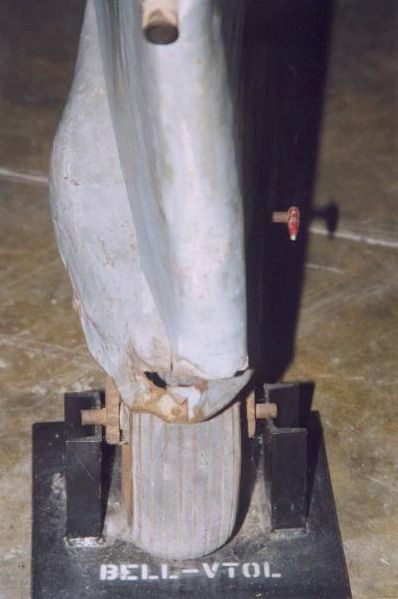 The cover over the tail gear shows the bulge needed to make room for the tail wheel steering mechanism.